Research activities in Psoriasis & its treatment approach Areas of research include Study of the Biochemical, immunological and cellular responses of the skin of patients who suffer from Psoriatic and normal individuals with reference to circadian rhythm. 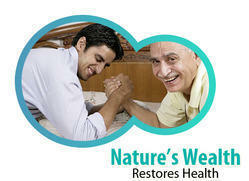 To evolve a holistic understanding to offer best treatment strategies for a global problem like Psoriasis. Study of the effect of Siddha drugs on various cytokines and inter leukins (ILs) to possibly answer the inflammatory responses of Psoriasis.Use of the cell based assays using HaCaT cells and freshly prepared human keratinoctyes for studying the effect of Siddha drugs on Elastase enzyme, hyaluronidases and LDH etc. The healthcare industry in India is constantly changing, presenting new challenges to healthcare companies every day. 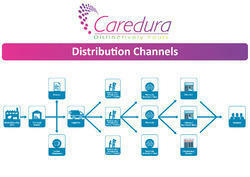 At Caredura Products, we consistently expand our distribution services and solutions to help healthcare innovators build stronger and longer lasting connections to their patients. With our intimate knowledge of the market, we guide you in achieving greater market penetration and increased financial profits. As an across-the-board fully integrated company, Caredura Products full range of services is available to you as you seek to expand into the rapidly growing Asian healthcare market. We are backed by a reliable vendor base, enables to provide the broad array of products. They are selected on the basis of their financial stability, market knowledge, reputation and industry experience.